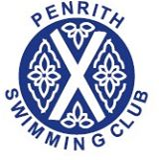 Members of Penrith Swimming Club who were overall winners of the annual Alan Aitken Gala at Troutbeck Bridge for the second year running. They competed in four different age categories at all strokes. First places in individual events went to Joe Banks, Laura Huggon, Adam Huggon, Alistair Jeal, Cameron Jeal, Ellen Jones and Bethany Titterington.